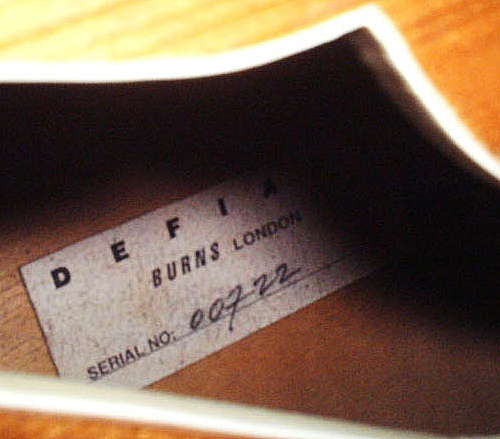 Cello-bodied thinline archtop, with printed 'BURNS' paper label inside. 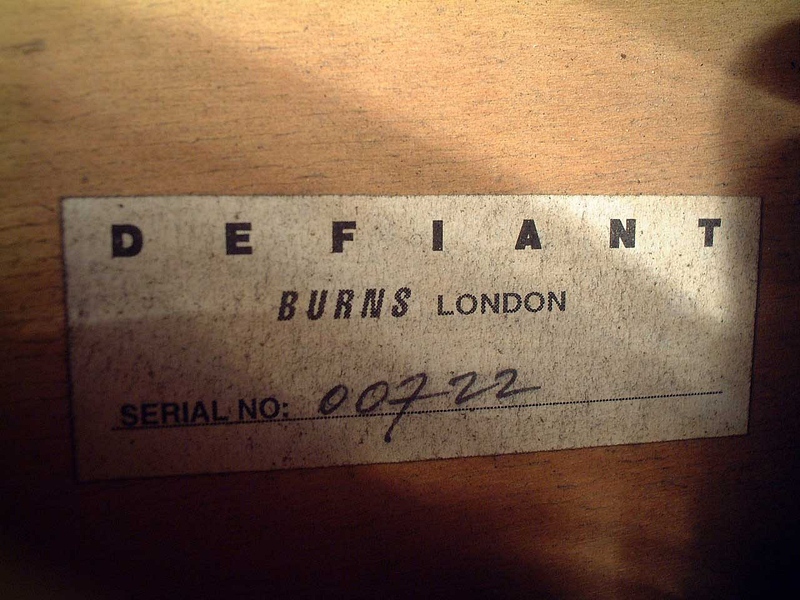 Label reads "DEFIANT - BURNS LONDON - SERIAL NO: 00722"
This interesting guitar appears to be an older MELODIJA Acoustic Cello-Guitar re-branded as a BURNS 'Defiant'. 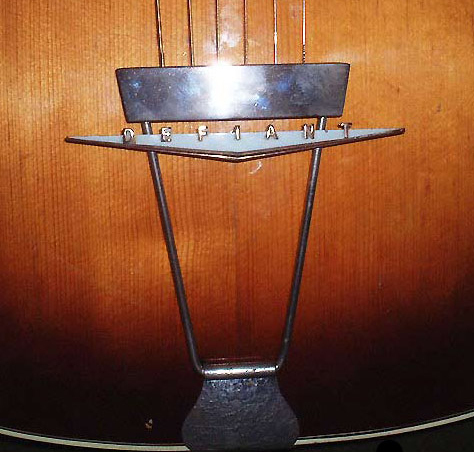 Originally made in 1954 in Menges (Slovenia), ut has a stamped headstock serial number of "46", and features a carved solid top. 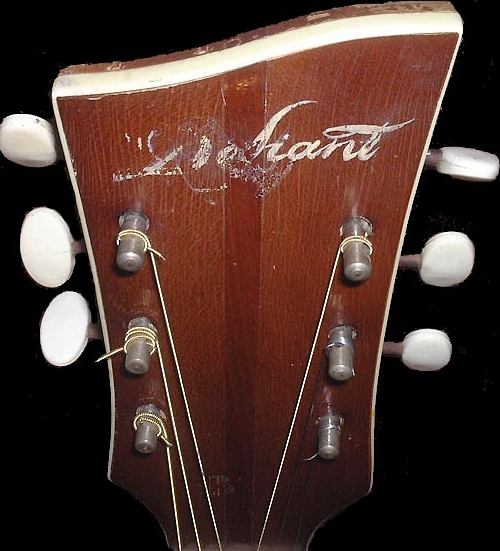 Hand-Painted model name on headstock, over remnants of removed previous maker's badge? 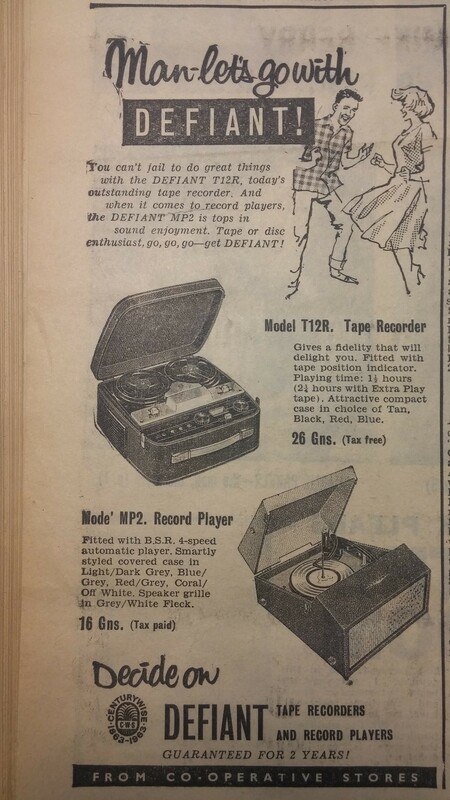 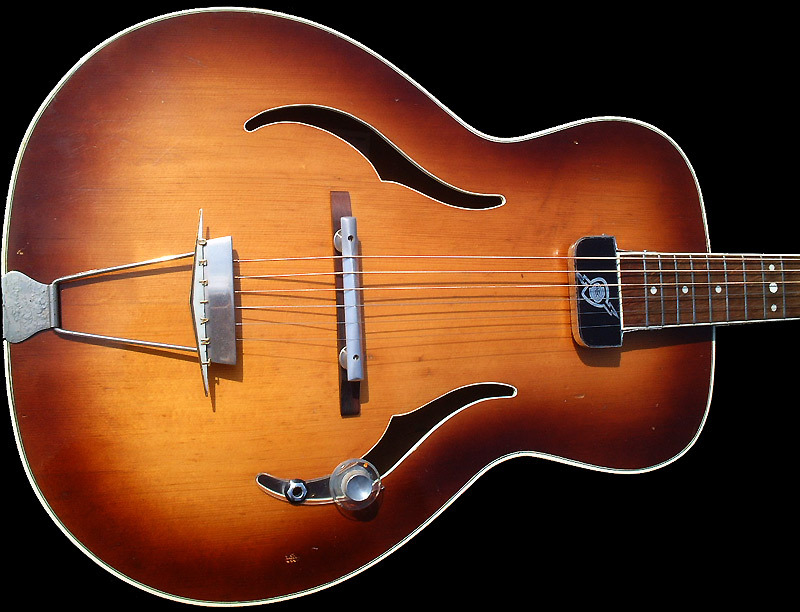 Featuring an upside-down neck-mounted Rellog pickup re-badged as 'Ormston Burns', plus a soundhole-mounted control panel. 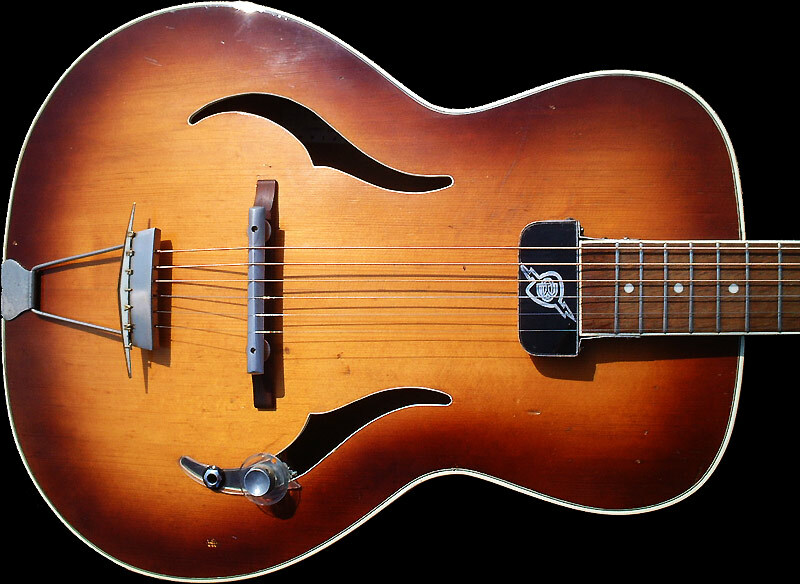 If anyone has any further information or opinions about this guitar, please email info@blackguitars.com!